We offer free quotations so please contact Freddie on 052-6187894 or 086-6091893 or email info@a4rdadeck.com to discuss your design. 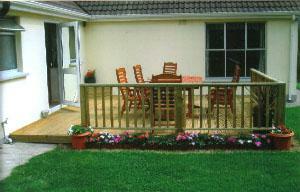 We can have your deck designed and built to the highest quality in as a little as one day. 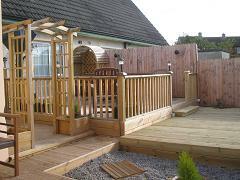 We can also arrange viewings of previous work if you need a closer look. We have constructed decks in other parts of the country so please call Freddie on 086-6091893 for a free quotation even if you are not in our area.